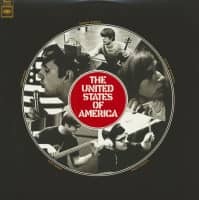 Led by keyboardist-composer Joseph Byrd and featuring the perfectly witchy vocals of Dorothy Moskowitz, the United States of America made music wholly unlike that of the other bands of its day - or any day, for that matter. On the band's sole, self-titled 1968 album, the group draws on Byrd's background in the avant garde and crosses proto-electronica (early synthesizers, ring modulator) with psychedelia for a sound that even today remains both strange and futuristic. The United States Of America found the perfect way to permanently hardwire space-age electronic music to heady psychedelia on their highly desirable 1968 debut. At the center of the U.S.A.’s fiercely experimental universe were Joseph Byrd’s kaleidoscopic musical excursions and Gordon Marron’s searing violin, each orbiting around the icy-cool vocals of Dorothy Moskowitz, keeping this tumultuous sound from spinning out of control in every direction. Almost predictably, the U.S.A. disbanded before recording a second album, but the brilliant, self-titled effort was certainly one for the ages. "Portishead and Broadcast love this record. The Fall used ‘Coming Down’ on their last LP. Made in 1968, this is hewn from the same lysergic, ur-electronic seam as Silver Apples and White Noise, with a Zappa-like satire and lashings of Love nastiness. Songs veer from psych rock to sunshine exotica, tape cut-ups and ring modulators filling in the gaps. Dorothy Moskowitz sinisterly narrates on sadomasochism and how square the squares are." - Mojo Sundazed is proud to now present this 1968 debut of space-age electronic psychedelia in its ultra-rare and unique mono form, pressed at R.T.I. and on limited edition colored vinyl. 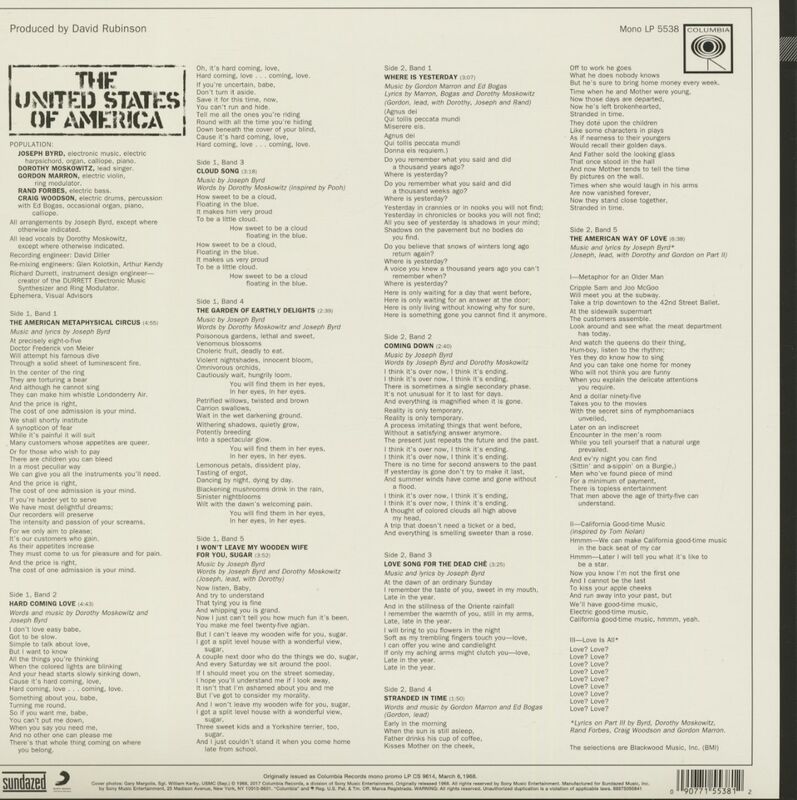 Customer evaluation for "United States Of America - Mono (LP)"